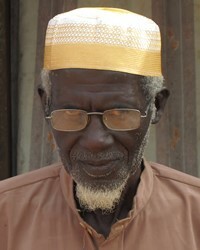 Overview: The Jola are an ethnic group found in Senegal, The Gambia, and Guinea-Bissau. They primarily live along the Atlantic coast between the southern banks of the Gambia River, in the Casamance region of Senegal and the northern part of Guinea-Bissau. The Jola are believed to have preceded the Mande and Fula peoples inhabiting this coastal area. The Atlantic-Jola people cluster includes several ethnolinguistic varieties of Jola.